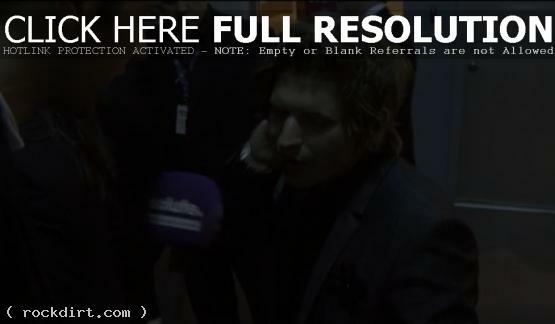 Absolute Radio’s Adrian Hieatt caught up with Matthew Followill of Kings of Leon, winners of Best international Group and Best international Album, on the red carpet in Earls Court at the Brit Awards 2009. As he was munching on some food and apparently itching to walk away, the guitarist talked about the love they’ve received in the UK, loving Coldplay, and taking some time off before recording their new album. Video at absoluteradio.co.uk has since been removed.